While all of these fancy new devices like the iPhone X and iPad Pro are all well and good, there is something to be said for a little bit of nostalgia here and there. We told you earlier about Microsoft’s decision to make the Windows 3.0 File Manager open source, and in just the same way that tickled our nostalgia bone, the news that someone has been able to get not just Mac OS 8 but also Warcraft II and SimCity 2000 running on Apple’s latest and greatest hardware is something that fills our hearts with joy. In this instance, we are talking about an iPhone X and an iPad Air 2, both of which have been shown to be capable of running Apple’s Mac OS 8 software. As if that was not impressive enough, anyone who is old enough to remember the greats that are Warcraft II and SimCity 2000 will be very pleased to see that the two classics also run just as well on both devices, although the iPad Air 2 is obviously the best choice for gaming thanks to its considerably larger display. However, while Mac OS 8 does run on the two devices, performance is far from optimized, which is probably to be expected. Neither the iPhone nor iPad could have been imagined when these pieces of software were released, but the fact that they work at all is something that should be celebrated. 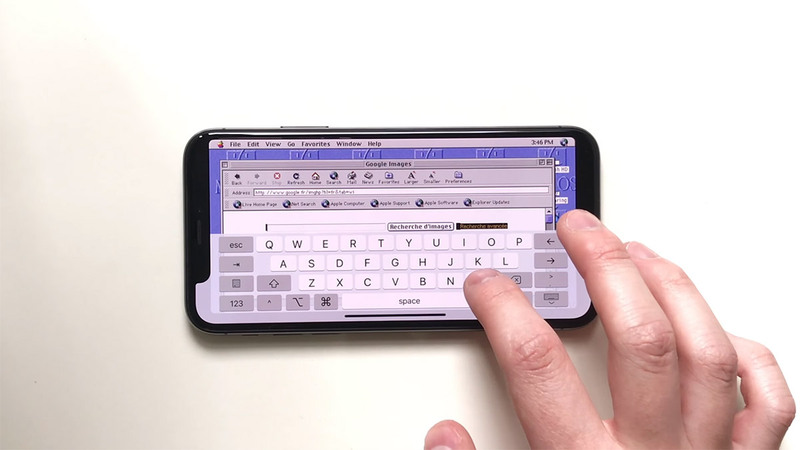 If you want to see three little slices of history married with Apple’s current design chops, then look no further than the ten-minute YouTube video that we just cannot stop watching. It’ll be the best ten minutes you spend today!